How can Ann Arbor continue this momentum? 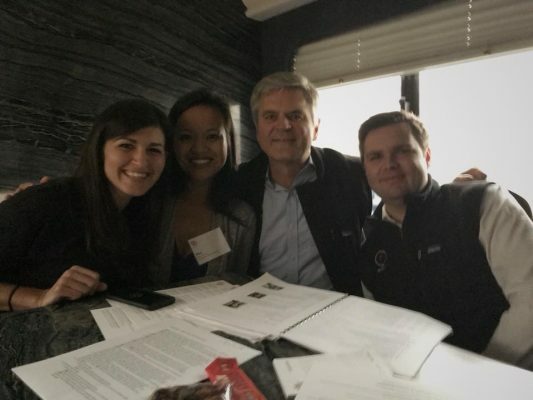 MVCA had the honor of participating in Revolution’s Rise of the Rest tour with Steve Case in Ann Arbor. Case is the CEO of Revolution Ventures, a Washington, D.C.-based venture firm, and the co-founder of AOL. He last visited Michigan in September 2014 as part of the Rise of the Rest tour in Detroit, and this year, best-selling author and investor J.D. Vance joined the tour. The day-long trip in Ann Arbor included visiting the city’s fastest-growing startups, connecting with the area’s top innovators and learning more about local policy and business leaders. The tour stopped at MCity, Duo Security (2017 MVCA Annual Awards Dinner nominee! ), A2 Engage, FarmLogs, Shinola, Nutshell + Cahoots, and TechArb. Following the tour, Heintz moderated the Fireside Chat which featured Case and Vance in addition to Google Director of Global Entrepreneur Outreach, Mary Grove, and Quicken Loans Inc. Chairman, Dan Gilbert. The day concluded with a 100K pitch competition where local startups had the opportunity to pitch their business ideas to Case and local judges. The winner of the competition was Sahi Cosmetics, a company that provides makeup for medium-skin tones, and a member of the Winter 2017 Cohort at Desai Accelerator. Michigan’s opportunity is its research, talent, and ideas. During the panel discussion, Case shared that 75 percent of venture capital goes to three states: California, Massachusetts, and New York. The remaining 25 percent is left for the remaining 47 states throughout the country, and only one percent goes to the State of Michigan. However, Ann Arbor is ahead of the curve. 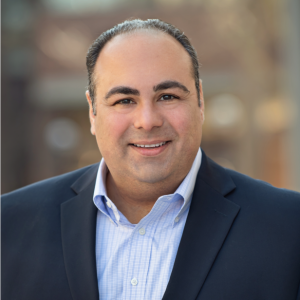 Currently, Ann Arbor attracts 55 percent of the venture capital in Michigan, and the city has made significant achievements, mainly due to the city’s community. Additionally, Ann Arbor has tremendous opportunities for growth due to its research, talent, and ideas. According to the 2015 MVCA Research Report, Michigan has the seventh highest number of PhDs in science and engineering and the sixth highest number of invention patents nationally. Additionally, the state boasts the highest number of research spending in the country. For every dollar invested in venture capital in the state, 149 dollars are invested in research. Michigan’s hidden strength is its community. Building relationships with both in-state and out-of-state partners is a common theme that resonated throughout the panel discussion, and one of the main reasons behind MVCA’s recent outreach tour in Grand Rapids, Chicago, and Boston. 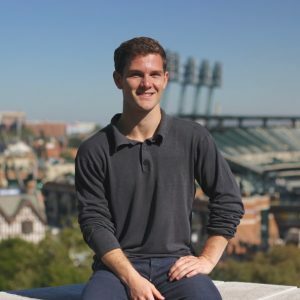 By sharing the 2017 Michigan Entrepreneurial and Investment Guide and recognizing the events and organizations that better connect the community, Michigan can bring these groups together to build an entrepreneurial environment that is greater than the sum of its parts. Michigan needs to be “loud and proud” about its success. Governor Rick Snyder spoke at the Leadership Breakfast and stated Michiganders need to be “loud and proud” about their successes. Michigan’s entrepreneurial and investment community has many reasons to be proud. There are 141 venture-backed companies, a 48 percent increase in the last five years. 54 startups in Michigan received more than $222M from Michigan venture capital firms in 2016, a 42 percent increase from the previous five years. 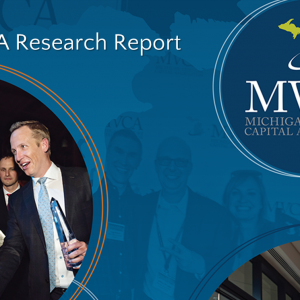 In the last five years, the number of venture capital investment professionals living, working and investing in Michigan has increased by 41 percent. Michigan is at the forefront of mobility. mobility startups account for 5% of total capital invested by Michigan venture capital firms. mobility startups account for 6% of all companies receiving investment from Michigan venture capital firms. Here’s a snapshot of the day! Thank you to everyone at Rise of the Rest for shining a light on the talent and opportunities right here, in Michigan!